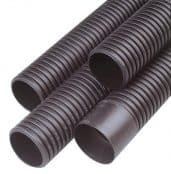 Cable duct manufactured by Polypipe provides cable protection for a broad range of industries and applications including power, motorway communications, street lighting and electrical utilities including high voltage 11kV/33kV cable ducting. 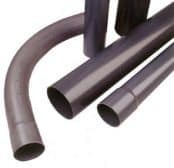 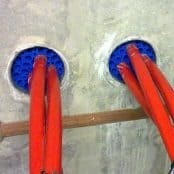 Cable ducts are available which comply with ENATS 12-24 Classes 1, 2 and 3, BS EN 61386-24:2010, BBA, BBA HAPAS and National Rail PADS approvals ensuring Polypipe are able to provide a solution for almost any underground cable protection application of low, medium and high voltage cables. 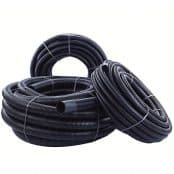 Complete range of Class 1 high voltage cable duct to provide underground cable protection and sealing of 33kV power cables. 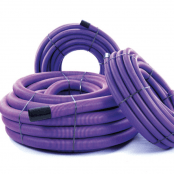 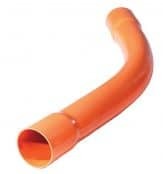 Thorne & Derrick provide competitive prices and fast delivery from stock for the complete range of Polypipe cable ducts.